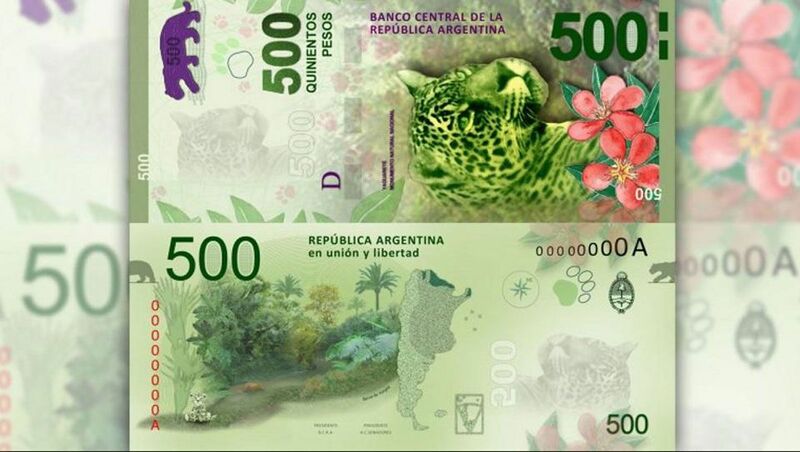 Home » The Jaguar, image of the new bills of $ 500 in Argentina. In what we consider an excellent initiative, the Argentina Central Bank reported that from mid-2016 will go into circulation bills of higher denomination, with species of $ 200 and $ 500, and that 2017se issued for the value of 1,000 pesos. 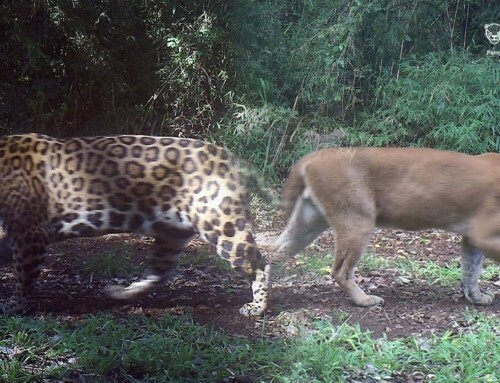 The big news for us: the $ 500 will lead the Jaguar as the central figure. With an attractive design from the aesthetic, in front a prominent Yaguareté, accompanied by the legend “Yaguareté, National Natural Monument”, plus a whole body silhouette and footprints can be seen. This design shows clearly what a Jaguar is, frequently confused by people the name with the Yacaré (Caiman), highlights its legal figure, perhaps an unclear way, but suitable for the space available and opens the door to people inquire (quickly they find the response on the web). The back of the bill continues providing information, showing a map of historical and current range very interesting because it will show to millions of Argentines the current critical situation of the species. In addition, accompanied by an illustration of a jungle environment of Yungas forests, the less known forest in our country, that now will charged higher profile. 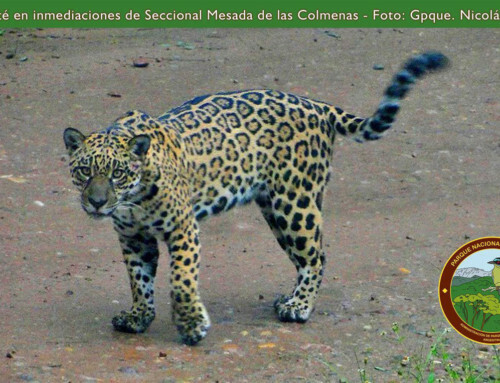 It ends with an image of a cartoon jaguar cub, attractive for the kids. This presentation undoubtedly constitutes the greatest broadcast action from the State on the species. This bill will be one of the most used after its entry into circulation and we celebrate this initiative. – $ 1,000 bill: Red Ovenbird (national bird). Centre region. 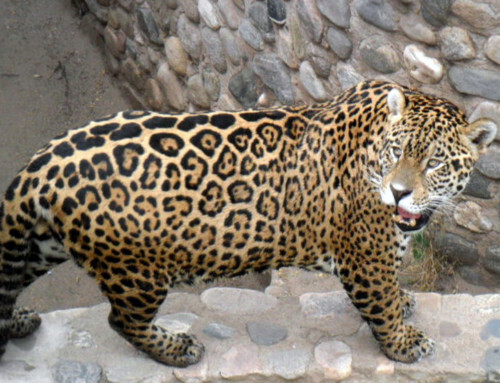 – $ 500 bill: Jaguar. Northeast Region. – $ 200 bill: Southern Right Whale. Argentine Sea, Antarctica and South Atlantic Islands. – $ 100 bill: Taruca (North Andean deer), Northwest Region. – $ 50 bill: Condor. Andean region. – $ 20 bill: Guanaco. Patagonian steppe. Also, a new currency made up $ 1, $ 2, $ 5 and $ 10, whose circulation will be launched in 2017.